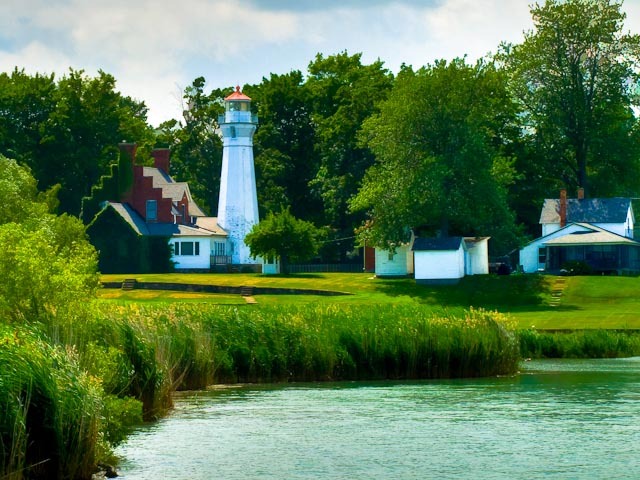 I took the original image of this very scenic Michigan lighthouse, captured with my Nikon D300, and applied a Topaz Simplify layer adjustment in Photoshop.It’s so scenic that I wanted it to look like a painting. This lighthouse is now a private residence. What I’d give to live there. Beautiful setting right on the shores of Lake Huron in the quaint little town of Port Sanilac.